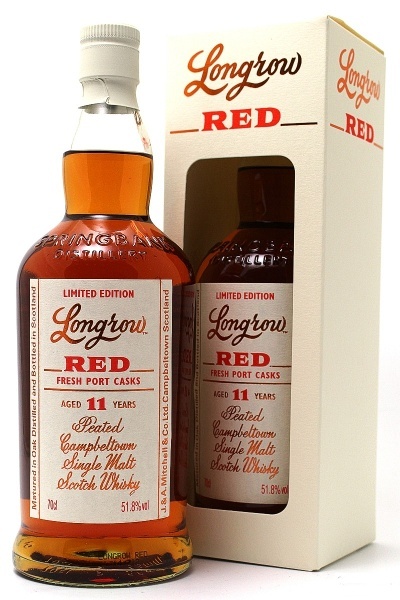 Another edition of Longrow’s popular Red range, this time featuring 11 year old whisky matured in fresh port casks, giving it a rosy hue and vibrant fruit notes alongside the classic aromas of well-peated Campbeltown single malt. 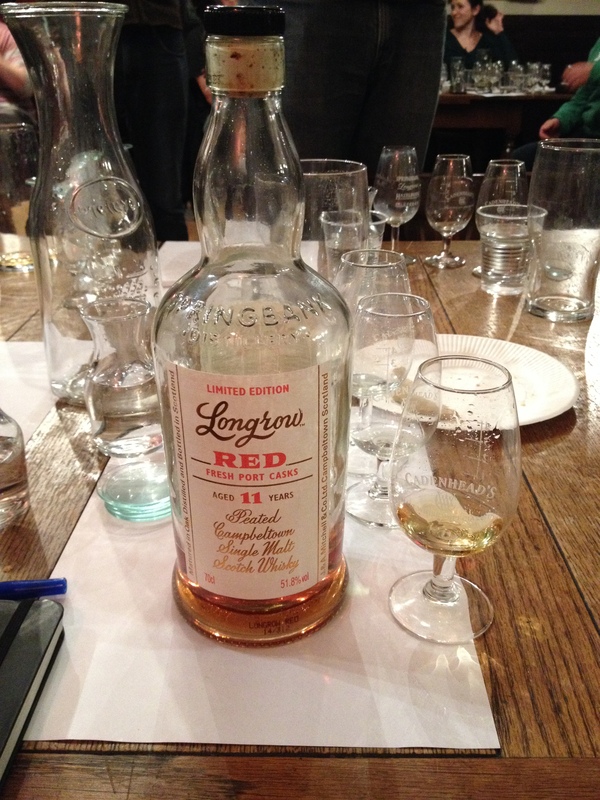 Dram # 5 from the Jolly Toper P/O/U/R/S tasting held on 11th September 2014. This one according to Mark has spent 9 years in ‘fresh’ port casks. What it did for the other 2 years is anybodys guess but it was bottled at 11 years old. Excels on the palate, perhaps a little water would have opened up more on the nose and finish – but I’ll never know as this was too good straight out of the bottle. A perfect way to end a perfect evening’s whisky tasting. I expect this one to sell very quickly. The peated Longrow spirit and port cask maturation work well, I feel the port wins out giving a rich fruity whisky with peaty overtones, sublime.